In 2012, the MUHC-ISAI's exploration of globalization began with a roundtable discussion chaired by Mr. Bernard Lord and Dr. Michael Churchill-Smith. The event brought together healthcare providers from Montreal, Toronto and the US, all involved in international projects, as well as Québec government officials responsible for global activities in health care. How is globalization changing the world of health care? Arvind Joshi: Health care has always been global. The difference is that in the past it was unidirectional in all three of the pillars that form a university health centre: care, education and research. Patients and students from less developed countries traveled to developed countries for treatment and training. The information age has changed that as everybody now has access to the latest information. Countries viewed as less developed are now leaders in many areas of health care and exchanges have become not only bidirectional but multidirectional. These developments create opportunities to form new partnerships that will provide more equitable access to health care, not only at a local level, but also on a global level. I believe borders in health care will disappear the same way they have in other sectors, through developments such as information technology, 3D imaging and robotic surgery. And I see nothing but opportunities resulting from these developments. Cathy Séguin: The Hospital for Sick Children (SickKids) has a global reputation that extends to over 180 countries. We have a very large international fellowship program and extensive research collaborations, both of which have expanded over the past few decades. Within the context of our vision of Healthier Children, A Better World, SickKids has completed a strategic review of its role and potential impact for children going forward. Based on that review, a corporate strategy and focus was developed for international work, centered around three streams. The first stream is business development, which includes consulting and advisory work, and for which we currently have a large project underway in Qatar. The second stream is global child health, which includes activities in developing countries, and for which we currently have a CIDA grant to support and implement a pediatric nursing curriculum program in Ghana, Ethiopia, and Tanzania. The third stream is international patients, which has been a long-standing program at SickKids, and primarily involves patients who need specialized surgical care. International patients currently make up about 1% of activity at the hospital and many of these children come from developing countries with the support of philanthropy. Our experience demonstrates that our partners want to build capacity and sustainability of their healthcare. We work with them to help them achieve their goals. Miguel Burnier: For the past 18 years, I have directed the ocular pathology laboratory at the MUHC. Ocular pathology involves doing a biopsy of the eye to look at cancers of the eye or other lesions. Ours is now the largest facility in North America and has a very international group of between 14 and 21 bright young people working and training in the lab. We see this as the best way to prepare ourselves to face globalization, to teach, to do research and to provide patient care on an international level. The laboratory has prepared 140 people from 25 different countries in the past 10 years, and these people have gone back to their countries to establish new laboratories. Spain, Portugal, Mexico, Brazil, Argentina, Chile and Saudi Arabia all now have laboratories and collaborate with us in patient care, teaching and research through telemedicine. The relationships formed in the early training years persist. We develop partnerships with industry and private partners that help equip facilities in these countries so that the people we train can serve their communities and we can assure ongoing collaboration. With the new technologies, such as telemedicine and digital pathology, consultations from abroad have become much easier. 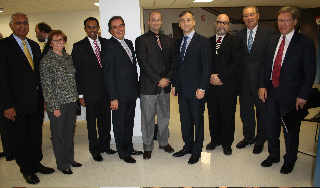 Our professional society “Biopsy” meets every two years in different countries and helps maintain these relationships. Krishnakumar Udayakumar: At Duke University, we view international activities as both an opportunity for bidirectional learning — not only adding value, but also learning from our partners — and as a platform for innovation. What ideas can we develop, evaluate and implement with partners better than we could do on our own, and better than we could do in our own local environment? The core international activity at Duke is in Singapore, where in 2005 we partnered with the ministries of education, health and trade and industry, as well as the National University of Singapore (NUS), to create the Duke-NUS graduate medical school as the first MD post bachelor’s medical school in South-East Asia. Singapore already had a highly efficient and effective healthcare delivery system; what they lacked were physician-scientists who could bring new research findings from the bench to the bedside. They needed clinicians who understood the science and could drive research, and they needed scientists who understood clinical demands. Duke’s medical curriculum is structured to ensure that clinicians graduate with a core understanding of research, and the university has a track record of producing clinician-scientists. There was a unique fit between the need in Singapore and Duke’s expertise. In the seven years since we started working in Singapore, Duke-NUS has graduated two classes of students with an MD from both Duke University and the NUS. Today, there are over 50 research faculty at Duke-NUS conducting cutting edge research in everything from cardiovascular and metabolic disorders to emerging infectious diseases. This experience has strengthened Duke’s desire to work where we can really add value on projects that are closely tied to our academic mission, and involve research as well as education and training. Luc Castonguay: The Ministère de la Santé et des Services sociaux in Québec is looking closely at the issue of globalization, which includes the many research collaborations underway with others around the world. The expertise of our researchers and institutions is well recognized, and when our ministers visit other countries or receive foreign delegations, there is always a lot of interest in what we have put in place and in the collaborations we have initiated with other partners. Globalization also includes the commercialization of discoveries and expertise, which is a relatively new area that requires careful consideration in the context of a publicly-funded health system that has as its principal mandate to serve the Quebec population. We need to keep in mind the financial pressures on the system and concern with waiting lists when we talk about global collaborations that involve commercializing healthcare services and expertise. Jean Belzile: The world is changing, and new models for sharing research around the world are emerging. This environment presents challenges to healthcare sectors like pharmaceuticals, which has been hard hit lately, but reflects a pervasive trend: similar changes have been evident for a number of years in sectors such as aerospace and telecommunications. The Ministère de l’Enseignement supérieur, de la Recherche, de la Science et de la Technologie (MESRST) has encouraged the development of partnerships between industry, universities and public institutions to share the risks, rewards and knowledge gained from research in an effort to assure our competitiveness on the global stage. Each such partnership is formed because of a unique expertise in a particular area. But we cannot be excellent at everything. We face limits in our means, knowledge and people. We must focus and make choices about where to invest our energies. Canada produces about 5% of the world’s knowledge and Quebec produces about 1.5%. This makes international networking and partnerships all the more important as we move forward. What opportunities arise from these developments? Krishnakumar Udayakumar: One of the advantages in being engaged internationally in on-the-ground healthcare delivery is the ability to learn from innovators and entrepreneurs around the world. How is it that Arvind Eye Care in Southern India is able to offer cataract surgery with the same quality we have here for $20? How does the NH Heart Hospital provide bypass surgery for less than $2000? It is not just because of lower labour costs. It is because of the innovation, business models, and technology that shape their approach to care. There is a huge amount of learning that is only possible when you are embedded in these organizations, and it can be brought back to improve care, reduce costs and improve access for our own populations. Miguel Burnier: There are clear benefits to the mobility of physicians with different sets of expertise. Ocular toxoplasmosis is a disease of the eye caused by a parasite in drinking water. The University of Sao Paolo Brazil has the world’s greatest expertise, partly because they see 100 patients a day. In 2002, Brazilian doctors came to Vancouver to help deal with a rare outbreak of this disease in Canada and helped to save eyes and lives. Cathy Séguin: From a research perspective, there are benefits to collaborating with other countries. It expands our scope and depth of approaches to diseases, and enriches the expertise in Canada. Michael Churchill-Smith: Global collaboration can help overcome limitations on the training end that we experience here. For example, new valve replacement techniques have been developed that do not require an operating room and can be done in the angiogram suite. But to get good at the procedure, cardiologists and cardiac surgeons need practice, which is limited here by operating room time and the number of patients. So why could we not design a training environment in another country with a greater volume of patients and have McGill or the Université de Montreal cardiologists train our own and other cardiac surgeons and cardiologists in an environment where they can develop expertise with the volume of patients they need to actually learn? Arvind Joshi: Duke is gaining that experience in liver transplantation through their research partnership with Medanta Medicity in Gurgaon, Delhi. The MUHC is recognized as having a tremendous amount of expertise in hepatobiliary surgery, but the Medanta Medicity performs about 370 live donor liver transplants a year, which is the largest experience in the world. Krishnakumar Udayakumar: Duke’s strategy around international patients has largely been driven by humanitarian concerns but also by a desire to leverage our centres of excellence. There are areas where we want to develop or have developed programs that can be or are the best in the world, and doing that requires having access to patients around the world and establishing a global presence. Jean Belzile: The government of Quebec has been working with researchers, and supporting consortiums that include industry and the medical community to build critical mass, develop prototypes, conduct trials, and build expertise. We are also working with the Ministère de la Santé et des Services sociaux to open up the health system so that it can act as a first user of new technologies, to produce the data and evaluate results that will enable developers to relate the Quebec experience to potential partners in Brazil, Qatar or other places. There are challenges and we must put safeguards in place. But we see a future that involves building these networks here at home, obtaining solid data from our home population and then forming partnerships abroad to market this knowledge. Krishnakumar Udayakumar: I see us moving beyond a unidirectional pushing of information or expertise to creating new and innovative models around the world in research and education and, we hope very soon, in the healthcare delivery space. The new paradigm is based on working with best-in-class partners and trying new things. In Singapore, we contributed the Duke curriculum, but were also able to try out innovations the U.S. campus was not ready for. We put all lectures in basic sciences education on line and moved toward a team-based learning model, which is used in other disciplines but was seen as quite novel in medical school. We now have five years of data proving that this model is as good if not better than our the curriculum in the U.S., and this has helped us convince the U.S. curriculum committee to begin implementing it, not just in the medical school but also in undergraduate education at Duke. We were able to create something abroad, learn from the experience and then bring it back to improve care, education and research at home. Luc Castonguay : The Ministère de la Santé et des Services sociaux is now working with the Ministère de l’Enseignement supérieur, de la Recherche, de la Science et de la Technologie to better understand these global opportunities. It is clear that we cannot improvise in this area. There are some opportunities, but also challenges and risks that we need to learn how to assess. We must develop the expertise required to understand global healthcare markets and the benefits that collaborative work can bring back into our own healthcare system, whether this is in research, the development of services and expertise, or in commercialization. What policy challenges do we face in pursuing global opportunities? Arvind Joshi: Undoubtedly, some federal and provincial laws and statutes will need to be modified or adapted if we want to be a major player on the global scene. There are risks involved in new partnerships, but much greater risks if we fail to keep pace with, and actively participate in, the globalization of health care. Luc Castonguay: The AQESSS (Association québécoise d’établissements de santé et de services sociaux) asked us to work with them to examine how to make the most of the care and educational activities that take place at our university health centres, and a committee is now in place to begin this analysis, which touches on globalization. The aim is to identify ways to minimize regulatory or legislative obstacles to some of these activities, while preserving the public space and the characteristics that define publicly-funded care for our population. Bernard Lord: What would it take to convince the public here in Quebec and across Canada that opening our healthcare system, however cautiously, to international patients could actually add resources to the system rather than take them away? Arvind Joshi: Financial and other constraints mean that our operating rooms and diagnostic imaging suites work at about 30% capacity; 70% is down time. Given the excellent quality and cost competitiveness of our care, why would we not open our operating rooms on Saturday and Sunday to do arthroplasties on patients from Vermont or New England. It would cost them much less than at home and would actually generate jobs in Quebec and money to pump back into the healthcare system. Cathy Séguin: The priority at SickKids is always our own constituents, and the issue of international patients is highly sensitive. They are an important part of what we do, but we have limited our activity in this field. However, there are opportunities to generate revenue by utilizing equipment and operating rooms off hours, and then applying that revenue to the bottom line of the hospital and therefore supporting patient care. That means we can actually hire more staff, increase capacity, and improve productivity. Increasing activity in this area would actually be a very positive development, but it has to be well planned and focused. Miguel Burnier: We might want to make a clear distinction between having international patients come here for complicated very specific procedures, and for routine or more mundane procedures. The public does not have a problem with the first category but the second is more difficult to sell. Luc Castonguay: We live in a world where appearances can be more damaging than reality. We need to thoroughly document what we want to do and proceed cautiously. It will be easier to see how the care of international patients might work as smaller experiments take shape. These will give us a chance to get used to a certain way of working before we start changing our statutes and laws. We may need to establish a division of responsibilities and expertise that would support and protect each world: those who provide health services, and those who commercialize these services. Our nurses and doctors are there to provide care to our population and it may not be their job to commercialize care elsewhere. There is one pitfall we must definitely avoid and that is to see trade in health services or expertise as a source of financing for our health system. We often hear about the enormous potential of a global market in health services worth billions of dollars, but there are significant risks and no guarantees. Some years ago, we heard a lot about how the commercialization of university research could serve to finance our universities. That has not happened, in Quebec, Canada, or anywhere else. If there is revenue, it will remain at the margins of healthcare financing. Arvind Joshi: The experience of health practitioners who work outside the public system in Quebec points to more significant revenue-generating potential. The dentist who practices in Montreal has all kinds of patients from the North Eastern U.S. Montreal plastic surgeons actually advertise in the U.S. because they are cost competitive and provide high-quality care; the same is true in reproductive technologies. Their foreign markets are booming. There are people who come to get care in my hospital, and pay for it. But when I report that on my financial statements, that revenue is actually subtracted from my bottom line. I think we have to acknowledge this issue and tackle it. India is marketing its care aggressively — come have an arthroplasty and recuperate in an aruvedic spa — to the point that it is almost national policy. I see our failure to act as a missed opportunity. Michael Churchill-Smith: Other countries are taking steps in this direction. It was interesting to see, during the broadcast of last summer’s Olympics, television advertising for the British National Health Service (NHS). The Ministry of Health actually devoted a portion of its budget to promoting and marketing the NHS’s reputation. That speaks volumes about their government’s shift in perspective. Luc Castonguay: This is one of the areas we need to examine carefully before we move ahead. Healthcare institutions have been requesting action on this front and the committee we set up with AQESSS is discussing this issue. We need to know more about exactly what we are talking about and then we may be able to put appropriate safeguards in place and proceed in a very transparent way. Cathy Séguin: Right now, a huge amount of money is being spent on offshore care, but I believe we will see a decrease in the number of patients traveling to other countries for care, primarily because our partners are intent on building their own capacity. The educational and research collaborations Canada has with other international centres are actually creating future leaders in many of these institutions around the world. We need to keep our eyes on the long term potential for collaboration that this growth will then afford, rather than short-term possibilities. What our partners in different countries are looking for now, is help to build capacity so they can make their own healthcare systems sustainable. Krishnakumar Udayakumar: Other countries look to Quebec and Canada for more than just individual patient care. The policies, financing, provider strategies and structure of your system are of interest to other countries that are just developing their health systems. That is an area of expertise that can be packaged as a public-private partnership. Michael Churchill-Smith: We already have a remarkable number of tentacles reaching from Quebec and Canada out into other parts the world. The question is therefore how do we accelerate this development, understanding the risks, and go forward into markets that are emerging and asking for our expertise? Mr. Lord is President and CEO of the Canadian Wireless Telecommunications Association. In 2007, he agreed to become a special advisor to the McGill University Health Centre’s Institute for Strategic Analysis and Innovation (MUHC-ISAI). He also serves as director and advisor for several corporate and non-profit organizations and he is a member of the New Brunswick Law Society. He became one of Canada’s youngest premiers at the age of 33. In June 1999, he led the New Brunswick Progressive Conservative Party to one of its greatest victories. Mr. Lord won a second majority in 2003 and served as premier until October 2006. He was elected four times as the Member of the New Brunswick Legislative Assembly for the district of Moncton East. In 2007, Mr. Lord was awarded the Order of New Brunswick. Before joining the Ministry in May 2012, Mr. Belzile was Director of Research and Industry Relations and Professor at the École de technologie supérieure in Montreal. 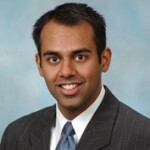 From 2002 to 2007, he was also Chief of Technology and Director of Engineering at IRS Technologies Inc. He obtained his doctorate in electrical engineering (communications) from the École Polytechnique in Montreal. 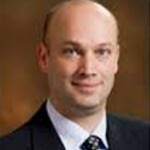 Dr. Burnier is Professor of Ophthalmology, Pathology, Medicine, Oncology, Anatomy and Cell Biology at McGill University. He was the Chairman of the Department of Ophthalmology, McGill University, from 1993 to 2008 and is currently the Thomas O. Hecht Family Chair in Ophthalmology. Dr. Burnier is the Director of the Henry C. Witelson Ocular Pathology Laboratory, a unique facility in Canada that has become the largest research and training centre in Ocular Pathology in North America. It plays a crucial role as a consultancy service to pathologists, ophthalmologists and oncologists and a teaching facility to medical students, residents and fellows from Canada and around the world. 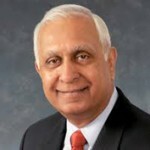 Between 1997 and 2013, Dr. Joshi was Director General and CEO of St. Mary’s Hospital Centre in Montreal, a McGill University affiliated institution. 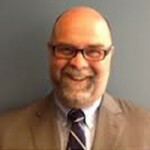 He is a member of the Board of Directors of the Association québécoise d’établissements de santé et de services sociaux, representing the McGill RUIS. An obstetrician and gynaecologist, Dr. Joshi practiced high risk pregnancy earlier in his career. He has a Masters in Business Administration and is a Certified Health Executive in the Canadian College of Health Leaders and the American College of Healthcare Executives. 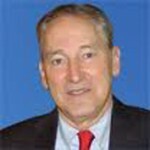 His main areas of interest in health care are education, public policy and international healthcare systems and issues. Ms. Séguin leads SickKids’ international strategy, enabling the organization to further its leadership goals in care, education and research. She has more than 25 years of management experience, both in community and academic hospitals. At SickKids she has held a number of roles including Vice-President, Child Health Services, Vice-President, Surgical Services and Professional Services, and Director, Diagnostic Imaging. 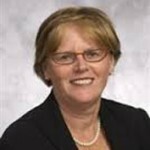 She chaired the Ontario Paediatric Surgical Wait Times Expert Panel through the Wait Time Strategy at the Ministry of Health in 2006, as well as the Paediatric Subcommittee of the Critical Care Expert Advisory Panel in 2007. She was also Chair of the Provincial Council for Children’s Health Surgical Services Wait Time Task Force. She is a member of the Canada Arab Business Council Board of Directors, and the Richard Ivey School of Business Health Sector Advisory Council. Dr. Udayakumar is Assistant Professor of Global Health and Medicine and Associate Vice-President of Duke University and assistant professor at Duke-NUS Graduate Medical School Singapore. 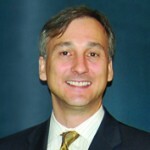 He is responsible for the development and implementation of global strategy as well as business development for Duke Medicine. Through Duke Medicine Global, he works closely with leaders across the medical center to expand Duke’s international activities and develop global partnerships. Dr. Udayakumar also serves as Executive Director of the International Partnership for Innovative Healthcare Delivery.